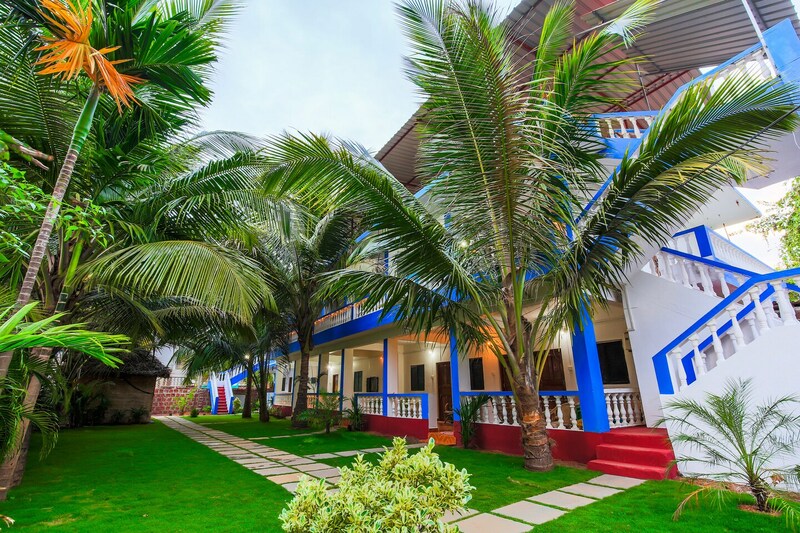 The hotel is located in Agonda, very close to popular Agonda Beach. Some other popular places nearby are Honeymoon Beach, Butterfly Beach, Rock formation and Hindu temple. The rooms of the hotel and bright and spacious. The decor is minimal yet comfortable. White coloured walls rightfully complement the neat and clean well maintained beds. The rooms come with an outdoor seating space with comfortable cane chairs. The hotel also has a park with tall palm trees where you can take walks or spend your evenings with some tea. The rooms come with an option of twin, king and queen size beds but all the rooms are equipped with hair dryer, A/C, TV, mini fridge and a comfortable seating area. The hotel also offers laundry facility to the guests. The property has a lot of good restaurants to try nearby. Some of them are Dunhill, Fatima Bar & Restaurant, H2O Agonda and Manveer's Kitchen.